Did you know that poor oral hygiene can affect your dog's entire body and not just his mouth? It's the truth. Here's a number of things that can happen. The loss of gum tissue, excessive nasal discharge bone infections and even jaw fractures. While we do not mean to scare you, we definitely don't want you to be going through all of that! And not to mention the expensive veterinary fees of treating those conditions too. What is the one product that could ensure your dog's oral hygiene in the most effective way? Using the best dog toothpaste can ensure that your dog with good oral health keep those canine teeth plaque free. Good quality toothpaste that is specifically formulated for canines is exactly what your furry companion needs. Ideally, you should never use toothpaste meant for humans on your pet because the ingredients could be toxic for animals. Investing in the right product will save a number of expenses in the longer run. This is exactly why we are here, to help you find the right toothpaste for your dogs and puppies. It's not exactly easy to choose the best toothpaste for your dog. There are just so many different brands and options out there. The Virbac C.E.T. Enzymatic Toothpaste is our top pick and the best dog toothpaste in the market now. It comes highly recommended from a good number of veterinarians who are pet owners themselves. Simply put, this toothpaste far exceeds its competitors in terms of quality and efficiency. But wait – there's more. The best part about enzymatic toothpaste is the fact that they dissolve deposits with the help of chemicals before they turn into tartar that needs professional intervention. This toothpaste works on similar lines and uses antibacterial action to inhibit the formation of plaque. Recommended by veterinarians all over and comes in a wide variety offlavors to suit any dog's taste! Not to mention, this toothpaste comes in five flavors ranging from poultry, beef, and malt to vanilla, mint and seafood. You really can't go wrong with Virbac C.E.T. Enzymatic Toothpaste. It works really well. Especially if your dog has bad breath, this toothpaste work wonders in removing the unpleasant odors from your dog's mouth. It is not for nothing that this is one of the most popular enzymatic canine toothpastes in the current market. Also, the enzymatic nature of the toothpaste scores additional points. If you are wondering why most pet owners prefer to use enzymatic toothpastes like this one, then let us tell you what it really does. Traditional toothpastes meant for canines use harmful chemicals and artificial ingredients that help dissolve the buildup of plaque on teeth. Enzymatic toothpastes use a natural chemical reaction to clean the plaque and keep your pet healthier than traditional toothpastes could manage to. Did you know that the Virbac C.E.T. Enzymatic Toothpaste comes in 5 different flavors? Not one, not two but five different flavors! Experienced dog owners would agree that it is difficult to brush your dog's teeth everyday unless you have a flavor that entices them. This one comes in so many flavors that you might as well be spoilt for choice. The manufacturers claim that this is to be strictly used for veterinarian purposes but home pet owners have used it and no one has reported any issue with it. However, for best results, always consult a vet to make sure that you are using the right product. We recommend this product because it follows a natural method of cleaning your dog's teeth and also makes it a pleasurable experience. A whole range of flavors makes it interesting for your pet. It has the highest cost on a per ounce basis. Curious on what is the #2 rated dog toothpaste? It's the Sentry Petrodex Enzymatic Toothpaste For Dogs. Of all the best dog toothpaste, this toothpaste clearly leaves a mark for being effective. It uses patented enzymes to control plaque, prevent the formation of tartar and also eliminates bad breath. The toothpaste has a non-foaming formula and hence does not require rinsing. If you have a squirmy pup at home that hates having his mouth washed, then this is your best option. The formula that goes behind making this toothpaste quite popular is the production of hydrogen peroxide. It not only helps clean your dog's teeth but also keeps them sparkling white when used regularly. There are a lot of canine toothpaste in the market that claim to do the same but often leave the yellow stains behind. Do you know what's the surprising part? While reviewing this product, we realized that the feature liked the most by users is the flavor. Most dogs love the poultry flavor that it comes along with and it is easier for them to accept the taste. We recommend this product because if you can use this toothpaste regularly, you can expect your pet's teeth to shine bright, its breath to feel fresh and clean and you can also prevent gum diseases. This toothpaste effortlessly promotes the oral health of your pet when used regularly. Pets easily accept the flavor. What can be better than dog toothpaste that tastes like beef? The OxGord Pet Dog Toothpaste is an enzymatic toothpaste can prove to be your furry friend's best companion. You can not only control bad breath but also prevent odor from building up again with regular use. Apart from fighting bad breath, it prevents tooth decay, tartar build-up and also a lot of gum diseases to a good extent. This toothpaste is ideal for small and large dogs as well as puppies. You can also use it on cats. While targeting plaque, this toothpaste also strengthens and whitens your pet's teeth in no time. Just need to take a small amount of paste in your hand, lift your dog's lips to expose the gum and teeth and brush with gentle motions to clean the teeth and gums. That's how easy to use the toothpaste. Your pet might fight your attempt to clean the inside of their teeth but it is very important to reach the upper back molars and canines. These are the areas that tend to develop plaque and tartar really fast. Even if your pet is a picky eater, he is sure to give into the incredible taste of this toothpaste. The entire kit also contains a soft bristled brush to thoroughly clean and restore your pet's precious teeth. We recommend this product because of the wide range of pets you can cater to with this and the sheer ease of use. The flavor is quite enticing. Prevents build up of plaque and tartar. Can be used for a wide range of ages and sizes. The tube could be slightly difficult to open. The Nylabone Advanced Oral Care Toothpaste helps you to establish healthy oral practices for your canine companion. It significantly reduces the risk of developing dental issues. This can also go on to extend your dog's life because we are all aware that dental hygiene is directly linked to a greater life expectancy. If your dog loves a nutty flavor, both you and him are in for a treat because this toothpaste has a natural peanut flavor that makes it more acceptable for your pet. It also helps reduce the buildup of plaque and tartar effectively. The toothpaste contains Denta-C that has been known to reduce the formation of plaque. Plaque harbors bacteria and leads to dental issues. We recommend this product because most users have reported excellent dental health and hygiene after using it and a more compliant pet because of the flavor. Reduces episodes of dental problems. Natural peanut flavor more acceptable to pets. Not all dogs like toothpaste that is peanut-butter flavored. Is your dog suffering from bad breath? Have you been looking for a natural way to enhance oral hygiene in your pets? Well, the Vet's Best Dental Gel Toothpaste can help with that. This toothpaste at hand ensures that your dog can fight tartar and plaque effortlessly with its regular use. It keeps teeth and gums healthy, and also freshens up your pup's breath. We all love dogs with a fresh breath, don't we? A lot of pooches have issues of very bad breath and that tends to isolate them from peer groups. With the use of this toothpaste, you can expect your dog to have fresh breath all the time. This toothpaste uses natural ingredients like neem oil, grapefruit seed extract, enzymes and aloe vera to keep your dog's teeth clean and shining. All these ingredients have antibacterial and antifungal properties that help in strengthening and brightening your canine's teeth. We also recommend this product because it is quite simple to use. All you need to do is use a brush or finger to apply the gel to your dog's teeth two to three times a week. To achieve the best results, you need to use this toothpaste 30 minutes before or after having food or water. Natural cleansing method with no harsh chemicals. Instantly refreshes your dog's breath. Keeps bacteria build up away. The tube could leak at times. How about dog toothpaste that tastes like chicken and cleans like a pro? It might sound unreal to you but the Nutrivet Enzymatic Canine Toothpaste is all that and more! The non-foaming formula ensures that it cleans effectively without having to rinse out your dog's mouth because we are all aware of how adamant dogs and puppies can be about not letting water inside. The key components in the toothpaste work somewhat like this: hydrated silica helps to remove plaque, glucose oxidase breaks bacteria build up and plaque, sorbitol helps retain moisture. A word of caution: It's flavor might be addictive. While cleaning the teeth and mouth of your pet efficiently, this toothpaste sets up a healthy routine for your pet by promoting a healthy lifestyle. It also encourages great dental hygiene because its incredible flavor makes your dog get used to the idea of brushing every day. We recommend this toothpaste because if your dog has gum problems like the buildupof tartar, sensitive gums or loosening of teeth, this special formula can take care of all these quite effectively. The flavor is quite enticing for your pet. Reduces episodes of tooth loss. Might be an acquired taste and some dogs might not be a fan of it. Did you know that most dogs love peanut flavored treats? With the Sentry Petrodex Natural Toothpaste, there is no doubt that your dog might as well push you to bring out the brush every single day. Kudos to Sentry for mixing peanut flavor with their toothpaste! What with the amazing peanut flavor that dogs generally love, this toothpaste is your one-stop solution for all dental and oral hygiene issues. Your pet will find it very hard to resist and this will help develop a dental routine like never before. What else do we like about the product? It uses all natural ingredients to clean your dog's teeth. There are no toxic chemicals or additives that could cause more harm than do any good. We come across quite a number of toothpaste that claim to remove plaque effectively but only a handful can do so without using artificial preservatives and additives. With this toothpaste, you can promise your furry friends safe removal of plaque and effective prevention of tartar. This toothpaste consists of ingredients like sorbitol, hydrated silica, glycerin, purified water, xanthan gum, mushroom extract, eucalyptus oil and parsley seed oil. We recommend this toothpaste because it tastes so good that it can only mean more brushing for your dog and cleaner teeth, lesser plaque and a breath that stays fresh for a long time. No preservatives and no additives. Great flavor that makes it irresistible. Might be too addictive for dogs. The Pro-Sense Dental Starter Kit is the perfect way to introduce your dog to brushing and maintaining oral hygiene. It has all the components that are required to keep your dog's teeth in optimal conditions. Well, we do prefer our dogs to have freshly minted breath. The manufacturers keep harping on the fresh flavor of this toothpaste and it is hard to deny the fact that everywhere we went; users could not stop talking about its flavor. The entire kit contains everything you need to get started. It has 1 toothbrush, 1 toothpaste tube and 1 finger brush. The toothpaste contains premium ingredients to ensure that your pet's teeth are always kept clean and healthy. Moreover, it is not just about your pet's teeth but also about his gums that make a difference to the entire oral hygiene. With the inclusion of a finger brush, this kit ensures that the gums are also taken care of without any hassle. Using this toothpaste is also quite simple. All you need to do is take a small amount of toothpaste, gently expose your dog's teeth and gums and reach all the sensitive areas that are also more prone to tartar build up. We recommend this product because it comes in a full all inclusive kit. Fresh flavor attracts dogs to use the toothpaste. Breath smells fresh for longer. The toothbrush that comes along has stiff bristles that tend to be uncomfortable. When you need a toothpaste that provides easy oral care, then the Nylabone Advanced Oral Care Tartar Control Toothpaste is your best choice. It leaves your pet feeling fresh with healthy teeth and gums and makes your tasks slightly easier to follow. When you establish a daily dental care routine, you go a long way in ensuring that your dog has lesser episodes of tooth decay. This toothpaste comes recommended by veterinarians to reduce tartar buildup and plaque. It also contains Denta-C that reduces plaque that is generally caused by bacteria buildup. We recommend this toothpaste because we understand that dental care for tartar build up could be a task and we respect the efforts you put into it. This toothpaste will significantly reduce the time taken to remove tartar buildup. The toothpaste might be too thick for your dog's liking. Have you ever wondered how we do the review? Let us take a look at what we really do. To begin with, it was easy to find the list of top rated products on the market as per most pet parents. What was disappointing is how the brand names kept getting repetitive every couple of times during our research. We realized that pet owners are not really looking into the label of ingredients anymore. It is quite simple to find out the poorer quality options by checking the ingredients. Most of the toothpaste meant for canines are full of harsh chemicals that would easily remove plaque and tartar but eventually do more harm than good. Pet parents might be using them without being aware of the consequences. This is when we started researching better brands with better quality. We selected the products that are not only safe and healthy for dogs but would also remove plaque and tartar from their teeth. As we reviewed them, we realized that most veterinarians and experienced pet owners highly recommend these products because of they promote the overall health of pooches and also eliminate bad breath issues effectively. 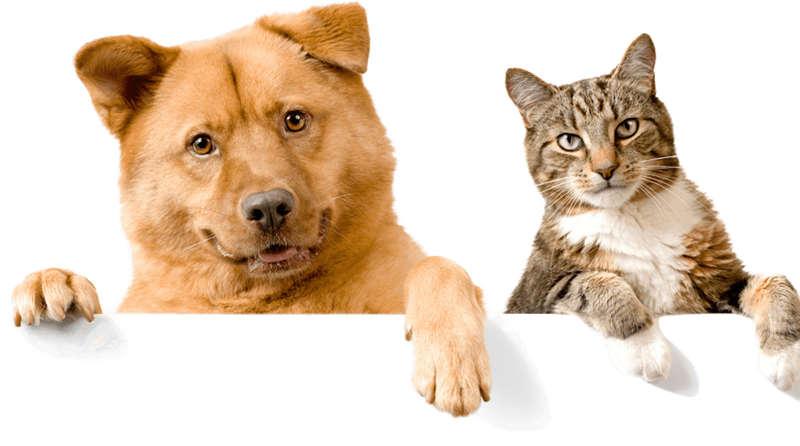 We collated our information by referring to manufacturing websites, blogs from pet health experts and also through customer reviews on Amazon. We also spoke to around 550 dog owners who use dog toothpaste and added their reviews to our article. Here's hoping that you benefit from what we have to recommend! There is no doubt about the fact that your dog's oral hygiene is directly linked to his overall health and happiness. A dog owner needs to put constant efforts to maintain the oral hygiene of your furry best friend. Your dog would probably not like it. But, it's necessary. It is quintessential that you brush your dog's teeth regularly. Before you venture into the world of oral hygiene, it is important to understand the need for certain things and what to look for before buying them. When you get a brand new toothbrush for your dog, you will obviously look for brand new toothpaste. So what do you need to look for in the right toothpaste for your beloved canine friend? What kind of food do my pup like? Is it beef, chicken, peanut or others? Answering this question is important to avoid wasting money on buying a toothpaste that your dog cannot simply stand to put in its mouth. Always try to buy a toothpaste that has a flavor which your dog is comfortable with. Whether it is the first time or the hundredth time that you choose to brush your dog's teeth, you can never be sure of how he could possibly react to it. This is exactly why you need to choose toothpaste that tastes good. A number of flavor options are available, for example, poultry, beef, vanilla, mint, peanut etc. Enzymes- they work to reduce the bacteria in your dog's mouth. Silica- gently removes plaque and tartar. Emulsifiers- help prevent tartar build-up. Sorbitol- sweetener to make it pleasant to taste. Before you buy any product for your canine companion's oral use, always ensure that you are aware of the ingredients that are present. Never buy anything that you are not sure about or have questions about. Ingredients like tea tree oil, propylene gel etc need careful supervision so always ask your vet if they are safe to use on your pet. It is better to stay away from toothpaste that are abrasive or have artificial sweeteners in them. When you buy a new brand of toothpaste, make sure you are buying the smallest tube unless it has been recommended by your vet. This will help you save money and trips to the vet if your dog doesn't like it or is allergic to it. Can You Use Human Toothpaste For Your Dogs? Dogs have a tendency to swallow the toothpaste. These could contain ingredients that are toxic when ingested. It is highly toxic for both adult dogs and puppies. It could potentially harm your dog's system. Always use toothpaste that are specially designed for dogs. Have you ever noticed a thin film like substance on your dog's teeth? What begins like that is popularly known as plaque but goes on to become tartar that could easily ruin your dog's teeth. While plaque can be brushed off your dog's teeth within 36 hours, tartar is the kind of deposit that fails to be washed off since it hardens over time. If you allow tartar to stay back for a while, it can build around the teeth for longer periods of time and you could easily invite infection. This can further lead to the surrounding tissues and bony sockets to destruction. This is exactly why tartar control is so important. Whenever you shop for dog toothpaste, always look for ingredients that can naturally prevent the formation of tartar. Poor oral hygiene can lead to gum diseases in your dog. If your dog suffers from gum disease, you can expect inflamed and swollen gums that could go on to be very painful. You might notice that these dogs find everyday activities quite uncomfortable like chewing on toys, eating, playing fetch etc. While there is still a lot of research going on to treat canine gum diseases, the only thing that veterinarians recommend is the regular brushing of your dog's teeth with toothpaste that has ingredients to prevent gum irritation etc. Ingredients like aloe vera, baking soda etc are the ones that you should look out for. There is no doubt about the fact that the best toothpaste will improve your dog's oral as well as general health. However, the best way to ensure that is to brush your dog's teeth regularly. If you cannot do it every day, try to do it three or four times a week at least. What you should know here is that poor oral health can be detrimental to your dog's health in a number of ways. The bacteria present in your pooch's mouth can travel into its bloodstream and cause harm to its organs. It could also cause unpleasant breath that again tends to isolate your dog from others. All these could have an adverse reaction on your pup's health and personality which is why investing in the best toothpaste and brushing regularly with it is highly recommended. Do Certain Foods Cause Dental Decay? Certain foods lead to a faster buildup of tartar and bacteria. The most notorious example is dry food (kibble). Avoid feeding your pet readymade food and offer more variety in the form of raw food such as carrots. If possible, supplement your dog's diet with raw meaty bones. These bones have a mildly abrasive surface which helps to remove the dental plaque around their teeth. It is a sad fact that the prevalence of dental disorders has greatly increased in recent times. The link between periodontal disease and overall health is still an ongoing process and we are yet to understand the link completely. However, we have also noticed a growth in the number of successful veterinarian visits and that gives us some hope. It is important not to be fooled by dental products that claim to work better thanbrushing because brushing is still the most efficient dental product you could possibly use. As pet owners, please only get toothpastes specifically meant for dogs and never rely on the ones that claim to be as good for dogs as for humans. We have discussed a number of enzymatic toothpastes in this article and this is because they are proving to be more beneficial in the longer run. As long as your pet is benefitting from the toothpaste that you are using at the moment, you have one less thing to worry about!